Celebrate Your Favourite Holiday with Us! 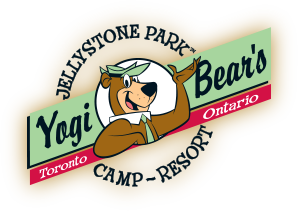 Yogi Bear™ and the rest of our Jellystone Park™ staff want the opportunity to celebrate with you! 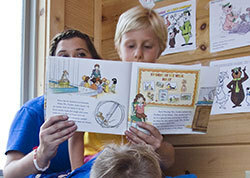 Come out to our themed weekends throughout the summer and “kick it” with your favorite “pic-a-nic” purloining bear. Just because it‘s summer doesn’t mean that you can’t have the opportunity to celebrate all of the holidays with Yogi! Join the fun and come to Christmas in July, a Spooctacular Halloween, Easter egg hunts, and more! Join us for our first long weekend of the 2019 camping season! Yogi will be coming out of hibernation to join us for some fun! Our recreation program will be running on the Saturday and Sunday only, so be sure to take advantage of the fun while it lasts! Howdy Campers! Dust off your cowboy hats and shine up your boots, its Western Weekend at Yogi Bear’s Jellystone Park™! Y’all better get ready for a weekend with tons of fun-filled events, such as gold rush and a lasso contest! Be sure to mosey on over to our Annual Corn Roast held on Saturday night! 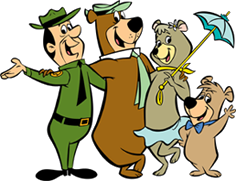 Help Yogi Bear™ in wishing Canada a very Happy 152nd Birthday by joining us in our Canada Day Celebrations! Whether its having a maple leaf painted on your face, or making your very own Canadian flag, be sure to sport outfits covered in red and white! Aloha! Grab your grass skirts and leis and come enjoy some fun in the sun this Hawaiian Weekend! Limbo contests, beach volleyball, and capture the coconut are only a few of the many activities taking place. Don’t forget to bring your best Hawaiian outfit to the Luau held on Saturday night! It’s the most wonderful time of the year, Christmas in July! Gingerbread making, Christmas carols and a Christmas celebration are only a few of the many holiday-spirited activities being held this weekend! Love is in the air at Yogi Bear’s Jellystone Park™! This weekend is packed with many fun activities such as heart hunt, chocolate slip n' slide, and candy grams. Best of all, what is a Valentine’s Day celebration without lots of chocolate to indulge in?! Make sure to bring your Valentine to the dance under the moon on Saturday night. Hop on over this weekend to Yogi Bear’s Jellystone Park™ to help us celebrate Easter! Bring your hunting skills, as Yogi Bear™ loves to have Easter egg hunts! Eggs in a basket and bunny bingo are other activities being held this weekend to help celebrate the holiday. Don’t forget to hop on over to the Bunny Hop dance on Saturday night! Happy Haunting, Campers! Get ready to be scared, because this weekend is filled with lots of spooky activities! From the ghost stories being told at the campfire, or trick or treating from campsite to campsite, you’re sure to have a spooktacular time! Be sure to make your way over to our Annual Haunted House on Sunday night! The fate of Jellystone Park™ is in your hands! Create your own cape and defend Jellystone Park™ in activities such as Cops and Robbers and Hulk smash. Bring your favourite superhero costume and show off your super powers at the dance on Saturday night! Don’t miss out on a weekend that will surely have your spider-senses tingling! Life is a circus, and YOU are at the center of the ring! 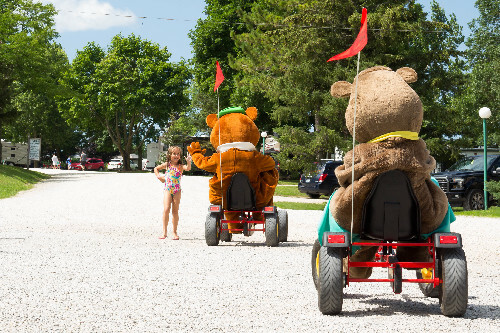 This weekend, we here at Yogi Bear's Jellystone Park™ are celebrating YOU! Filled with many carnival-esque events, be sure to come on down and enjoy some popcorn and snow cones! Calling all Campers! Try your best not to strike out this weekend and come on down to enjoy some sports fun! Take part in the wide variety of games and contests being held this weekend. Be sure to show your team spirit and wear your favourite jersey to the Sports Banquet being held on Saturday night! All activities are included in your stay except those indicated by a dollar sign ($). 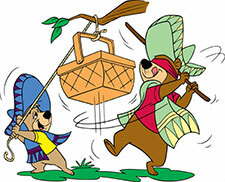 Colour Yogi Bear™ Merchandise (pillow cases and fabric backpacks) are available for purchase in the Ranger Station.